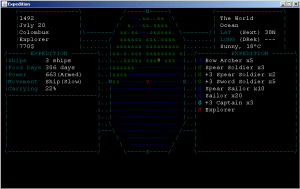 Expedition: Days 14 and 15, version 0.1.5 released! Thanks to Burzmali for his feedback at slashie.net forums! - 0000546: [Bug Report] Tribes respawning/reviving???? Next Post Expedition: Days 16, 17, 18, 19. Version 0.1.6 Released!